A picture from one of the Islay Malt Pillages a number of years ago, taken near Claggain Bay on the south coast of Islay. The malt pillage is passing in the distance, on their way either to Jura or to the Sound of Islay (unfortunately I can’t remember exactly). A small group of deer is standing close to the shore, watching both me and the boats. 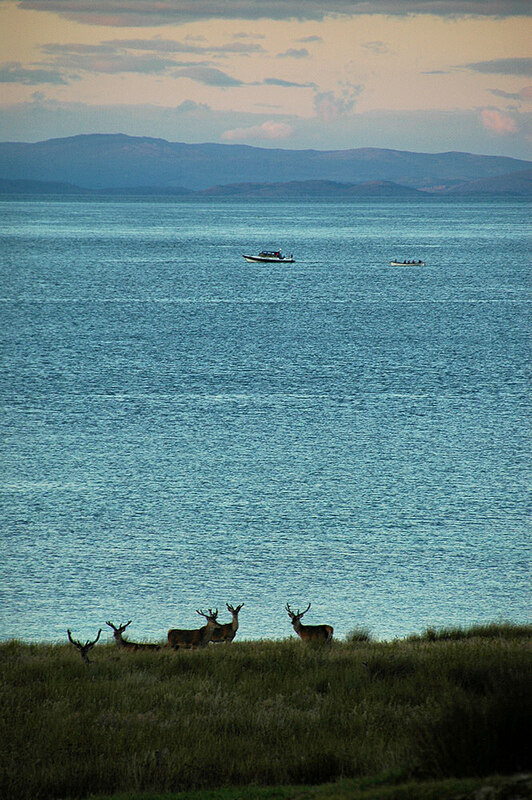 This entry was posted in Cloudy Weather, Landscape, Repost, Sunset, Wildlife and tagged Claggain Bay, Deer, Islay, Kintyre by Armin Grewe. Bookmark the permalink.